A new life-cycle analysis quantifies the avoided costs of gas and coal emissions. The savings in avoided pollution from using geothermal energy to generate electricity in California and Nevada comes to $117 million per year, according to a new study. 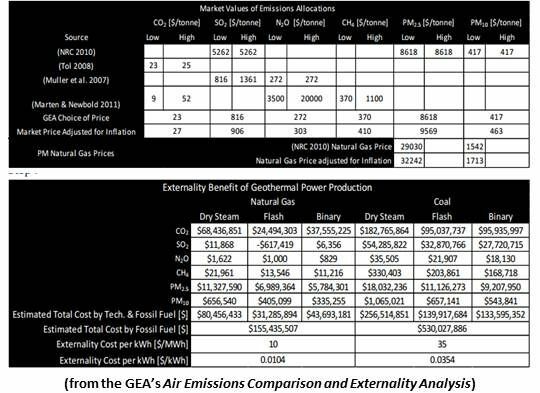 The savings from generating electricity with geothermal power was calculated to be $0.01 per kilowatt-hour over natural gas and $0.035 per kilowatt-hour over coal in the report Promoting Geothermal Energy: Air Emissions Comparison and Externality Analysis from the Geothermal Energy Association. 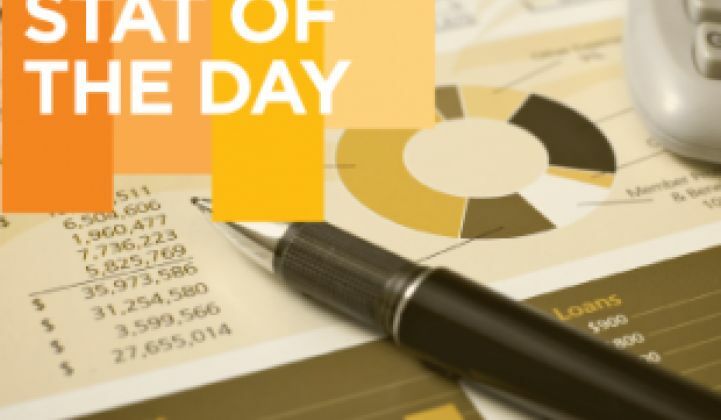 The reduction of pollutants leads to cost savings external to market price considerations. Economists call such considerations externalities. California, which leads the U.S. in installed geothermal capacity with 2,732.2 megawatts, gets $87.5 million per year in externality benefits. Nevada, which is second with 517.5 megawatts, gets $29.1 million in annual externality benefits, according to the study. It assumed California gets 8 percent of its electricity from coal and 36 percent from natural gas, and Nevada gets 20 percent from coal and 67 percent from natural gas. The study found that data from the Environmental Protection Agency (EPA) and the Energy Information Administration (EIA) puts the average rate of CO2 emissions for coal-fired power plants at 2,200 pounds of CO2 per megawatt-hour and for natural gas power plants at 861 pounds of CO2 per megawatt-hour. 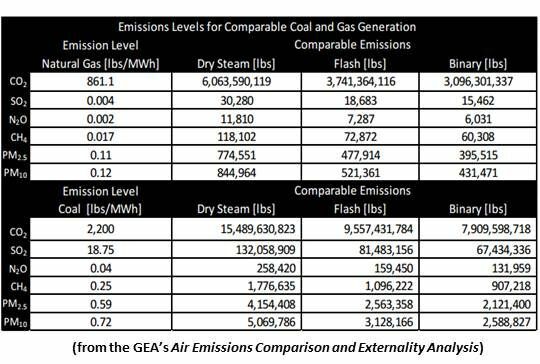 Working dry steam, flash, and binary geothermal systems, according to the study, generate approximately 197 pounds of CO2 per megawatt-hour. The study also drew on data from the Climate Registry and the Nuclear Regulatory Commission to conclude that geothermal systems come in much lower than natural gas and coal on emissions, including methane (CH4), particulate matter (PM2.5 and PM10), sulfur dioxide (SO2) and hydrogen sulfide (H2S). It cited a 2010 Argonne National Laboratories life-cycle analysis that showed geothermal-hydrothermal binary plants' life-cycle emissions, at 5.7 grams of CO2-equivalent per kilowatt-hour, to be even lower than those of wind (8.0 grams of CO2-equivalent per kilowatt-hour) and solar (62.3 grams of CO2-equivalent per kilowatt-hour). One of the reasons geothermal plants have lower average lifecycle emissions than other power sources is that, according to a cited DOE/NREL study, their capacity factors, at 90 percent to 95 percent, come in ahead of coal, natural gas and nuclear plants (80 percent to 90 percent).